Want to be considered a premium igaming operator? Then you have to be consistent no matter the device! 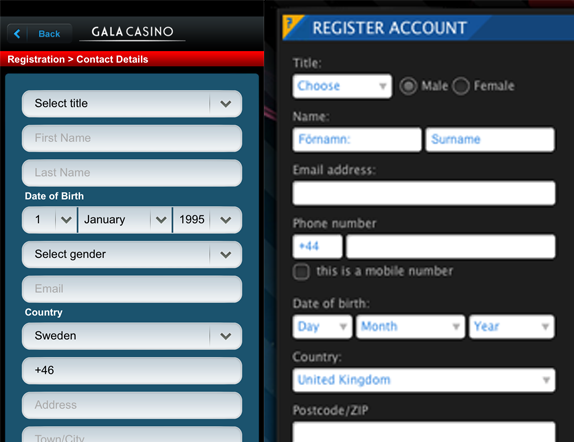 Gala Casino has launched a new desktop (and mobile) site according to EGR Magazine which I find interesting. It is always interesting to see when one of the larger igaming operators release new stuff. Since Gala is a big player I have very high expectations when it comes to how different form factors are designed. I very much am in favor for multi-device design, since we never can tell on which device a customer visit the site. I can be on a tablet, a PC, a phone or something else. And we also know that the same customer might visit a site with a PC one time but might be using the phone the next. So I looked for consistency when I did a quick comparison between Gala’s desktop and mobile site. Image 1. 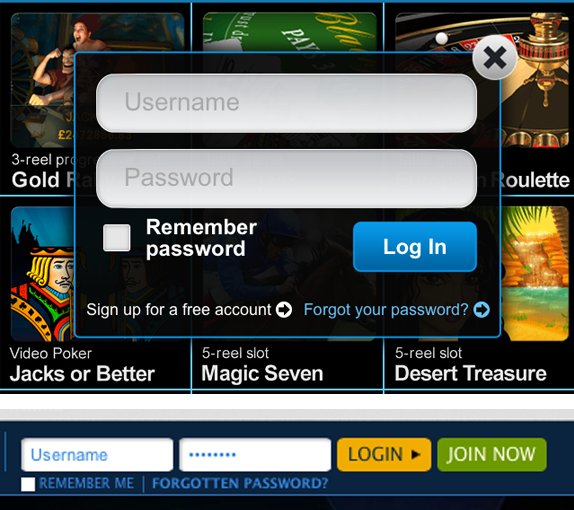 Login dialogue on mobile (top) and desktop. Each of the items are small but put together it gives a very unprofessional impression! Image 2. Registration form on mobile (left) and desktop. Again small differences but it looks like the mobile and desktop solutions have been developed without any interaction at all. To build great stuff you need to work together and have dedicated responsibilities that might not be for a device but more for the experience across all devives.